MANILA - A Commission on Elections (Comelec) commissioner over the weekend said the poll body has asked the Department of Health to remove posters of Malasakit Centers showing the photo of Senate aspirant Christopher Lawrence "Bong" Go. “We requested @DOHgovph to remove posters [in] Malasakit Centers, government hospitals,” Commissioner Rowena Guanzon said on Twitter. Guanzon gave this statement in response to a Twitter user who complained about a “special assistant” who has “giant-sized” tarpaulins, in reference to Go who used to serve as President Duterte’s special assistant. The Omnibus Election Code bars the use of public funds for an election campaign. In a statement, Go distanced himself from the poster. “Paulit ulit ko na po sinabi, tanggalin niyo na po mukha at pangalan ko sa posters at tarps. Huwag niyo na po ikabit iyan. Itulong niyo na lang sa mga nangangailangan,” he said. 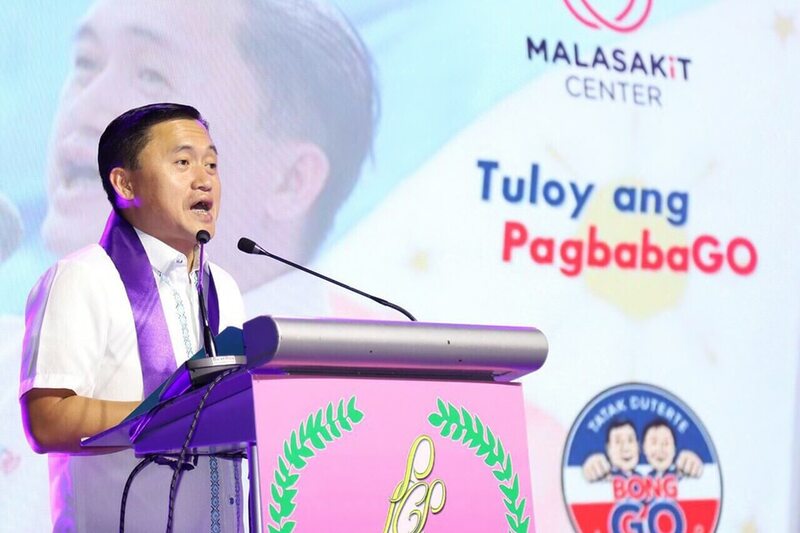 Go has been accused of using government funds to boost his candidacy. He has vehemently denied this allegation and said people should not vote for him if this is true. Malasakit Center is dubbed as a one-stop shop for indigents needing medical and financial assistance from the government. President Duterte credits Go for conceptualizing the center. At present, there are 34 Malasakit Centers around the country.